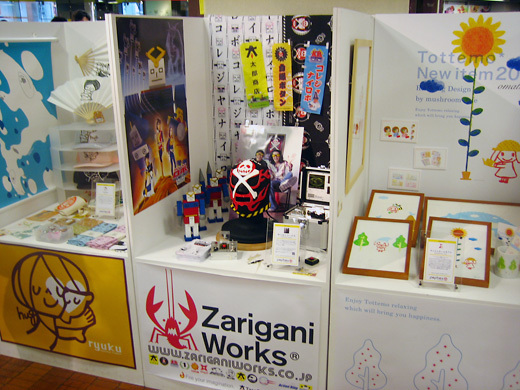 many rising pop culture artists sales or display their work in Shibuya Loft. Many of them held exhibits in small booths. All of these are the same white boxes, but very different from their unique arts. 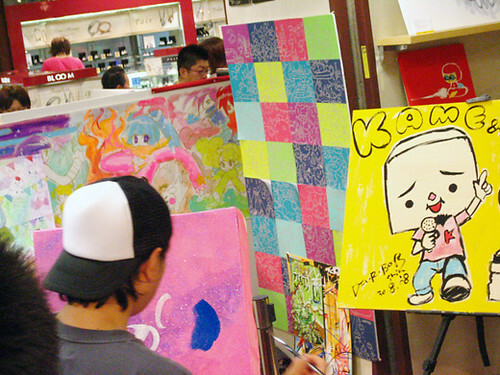 Passing costumers could enjoy their live paintings. I wish we had something like this in the US. There isn’t a ready available space for pop art by the public. It’s hard to get stuff out there or be seen.